NIET is situated in a serene environment engulfed by a sprawling 20 acres campus and located at "Nehru Gardens", Thirumalayampalayam, just 1 km away from NH 47 (connecting Coimbatore and Palakkad ), 15 kms away from Coimbatore city and 14 kms from Kerala border. Its calm, pollution-free and eye-catching surrounding, dissolved into chill breeze, make the campus climate salubrious and the total atmosphere conducive for undisturbed and effective learning. It is easily approachable by institution's own fleet of buses and cabs. Well equipped modern laboratory facilities · Innovative teaching methodology and personal attention to students. 50 MBPSdedicated optic fibre Internet connectivity. Language Lab for developing the communication skills of the students. State – of – the – art laboratories and infrastructural facilities. Separate spacious in – house accommodation for boys & girls with a 750 seating capacity dining hall with ultra modern kitchen. High speed internet facility offered through round – a – clock computer lab. · Human Resource Development Cell involved in campus placement, promoting higher education, entrepreneurship and industry interaction. Canteen, STD / ISD & Reprographic facilities. Separate spacious in – house accommodation for boys & girls with a 5000 seating capacity dining hall with ultra modern kitchen. 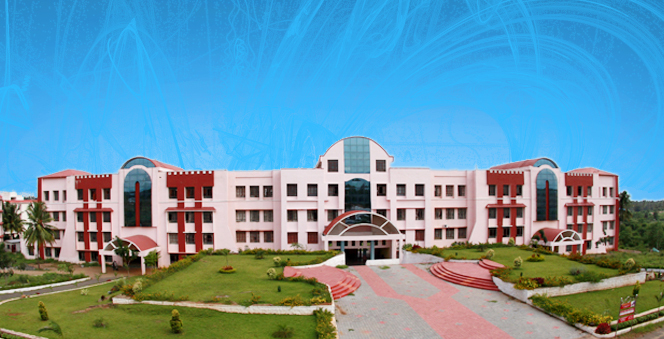 Nehru Institute of Engineering and Technology has got a computerized digital library, which makes it a knowledge paradise for every student. Its well – stocked racks with full of latest editions of standard and recommended books on all disciplines attract students to spend more time in the library. Indian & Foreign journals on related subjects are available in plenty and make the student highly informed and abreast with the latest trends. We know well that with computer networks and digital data bases, keeping upto date is easier, faster and for more productive than physically searching through printed journals. Electronic resources are being made available in our library as publishers are now moving from first to electronic methods of storing information.